2006-07 Rs. 2-5 Crore Approx. 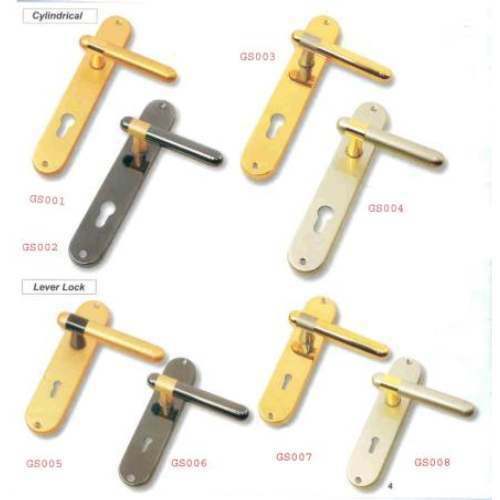 With the 9 years of industrial experience, we are offering Brass Door Fitting Handles, Brass Door Knobs, Brass Door Knockers, Brass Hat/Coat Hooks, Brass Railing Fittings, Iron Letter Plates and Iron Hangers. We also offer Aluminium Lever Locks, Aluminium Door Stoppers, Aluminium Flush Pulls, Glass Locks and Mortice Latches. Our Builder Hardware Products are offered in different finishes such as clear lacquer, colored lacquer, satin brass, bronze, antique, chrome plating, satin chrome, brushed chrome, gold plating, black nickel, satin nickel, black antique, paint, powder coating, electrophoretic lacquer and other customer specific finishes. Further, we also imports and wholesale ferrous sheets and sheet cuttings from reputed vendors across the globe. We have state-of-the-art infrastructure that assist us in manufacturing bulk range of Asbestos and Cork Products for homes, offices and commercial buildings. Our skilled professionals efficiently undertake the various manufacturing processes of our range of products to ensure these in defined industrial standards. The Builder Hardware Products offered by us are stringently tested on well defined parameter to ensure flawless range. Further, we also customize our range of products as per the specifications detailed by our clients.